Facility offers new approach to food distribution in the community. 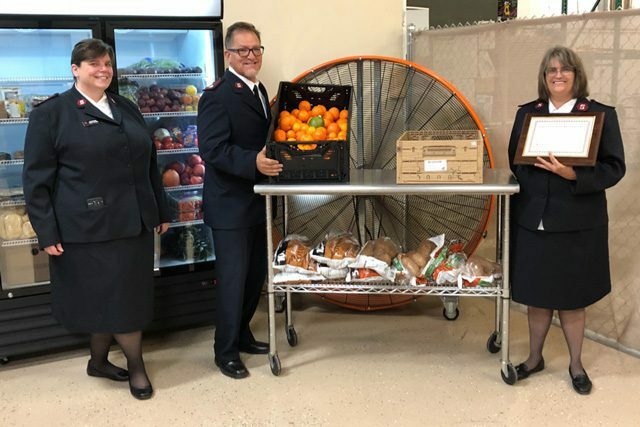 The Salvation Army Hobbs Corps Community Center introduced a new way for families in need in the community to receive food—a client choice pantry opened after a ribbon-cutting ceremony Aug. 13. 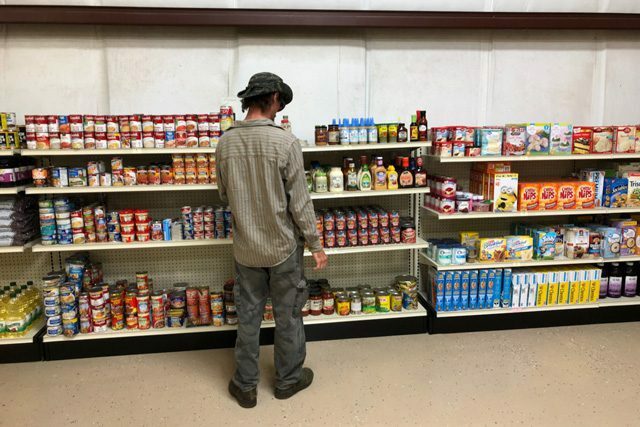 Any resident of Lea County who is low income or who has a verifiable crisis can shop at the pantry, which will offer select canned goods, fresh produce and frozen items. Hobbs Corps Officer Major Lisa Smith (right) and Assistant Corps Officer Lt. Laura Loomis (left) with The Salvation Army Southwest Divisional Secretary For Business Major David Yardley. During the registration process, each client will be issued points based on household size. Items in the store will have point values assigned, with healthier items having a lower point value, in order to encourage healthier food choices. One of the first clients of the day shops at the Client Choice Pantry. The pantry is a model becoming more prevalent across the Western Territory. Smith is thankful for the support that made the pantry possible and hopes it will lead to even better things to come. 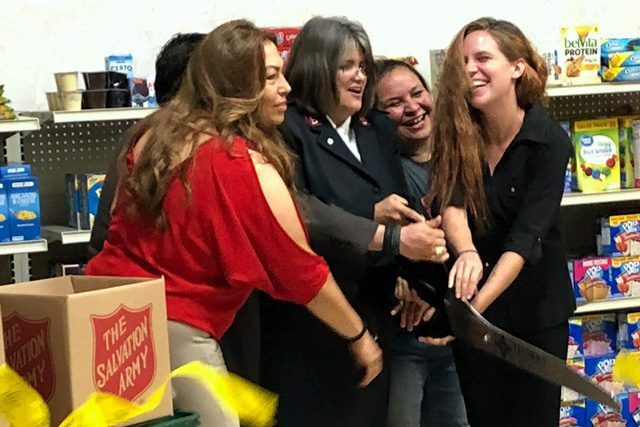 At the ribbon cutting: (l-r) Local volunteer Nellie Piñon, Hobbs Corps Officer Major Lisa Smith, Advisory Board Member Kim Wheeler, Family Services Program Aid Amanda Pena. To volunteer at the center, visit Hobbs.SalvationArmy.org. It’s so wonderful to read of this transition being made in multiple locations. I pray the ‘Client Choice Pantry’ proves to be a very successful ministry – Praise the Lord! @Mike Delgado – that great! It must be going well if you’ve been doing it for 5 years – Congratulations! Well done Major Smith and Lt. Loomis!